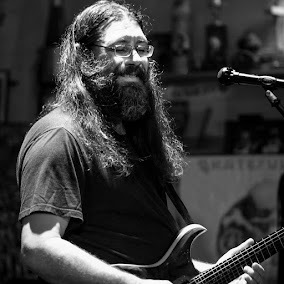 Dave Hebert (aka Dave A'Bear): Tonight Melvin Seals and JGB play at the Palm Ballroom in San Rafael, CA. Tonight Melvin Seals and JGB play at the Palm Ballroom in San Rafael, CA. SET 1 : Lonesome And A Long Way From Home, They Love Each Other,That's All Right Mama,Tears Of Rage, See What Love Can Do, It's No Use, After Midnight>Elenor Rigby>After Midnight. SET 2: Roadrunner, What a Wonderful World, Twilight, Love In The Afternoon, Breadbox, Sisters & Brothers, Expressway to Your Heart.